Dr. Spoke was a major player, with [some] of our Moms, during those hurried baby boom years. 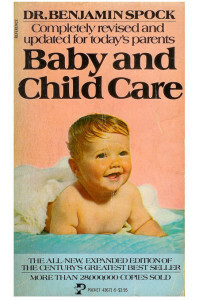 In 1946, just after the war, he published his baby care book, The Common Sense Book of Baby and Childcare. It became a best seller, with a message that resonated with young moms, "you know more than you think you do." My Mom did not care for him, and so in 1976 when I was pregnant, the first book I bought, was Dr. Spock's Common Sense Book of Baby and Childcare. Frankly, I saw nothing wrong with it. It quickly became my most beloved baby book, to this day. Dr. Spock was my hero, truly a gentle giant, standing at 6'4 inches. His ideas about childcare influenced several generations of parents (including me) to be flexible and affectionate with their children, and to treat them as individuals. Wow, what a concept! His BIO is too long for me to get into - A fascinating man of our times. 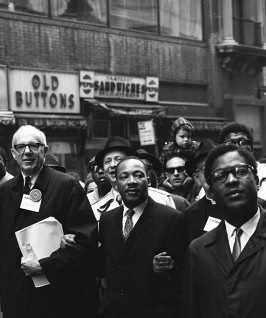 He was an outspoken activist in the New Left and anti-Vietnam War movements during the 1960s and early 1970s. At the time his books were criticized by Vietnam War supporters for allegedly propagating permissiveness and an expectation of instant gratification that led young people to join these movements, a charge Spock denied. In 1962, Spock joined The Committee for a Sane Nuclear Policy, otherwise known as SANE. In 1967, Spock was nominated as Martin Luther King, Jr.'s vice-presidential running mate at the National Conference for New Politics. Interesting man, he did much to change the world, almost all for the better. I think some of his teaching was misinterpreted as advocating "spoil" the child. Totally agree. I even asked my mom once,"Have you ever even read his book?" and of course she said NO. He was a good man. I've heard of him of course but I never knew all the things he did outside of childcare. Thank you for sharing! Enjoyed your post today. I new about Dr. Spock because he is well known . You could even say part of pop culture. I do know if my mom followed him with me and my five siblings. OMGosh My mom despised Dr. Spock. She was appalled when someone gave me his book at my baby shower for the birth of my first child. I read the book and often went back to read sections on parenting for reference. Now here we are all of these years later and addiction to heroin is plaguing my children; a few of them alcohol is the problem and my mom says, "I told you" and blames it me reading Dr. Spock's book. I have tried explaining it to her that addiction to this drug has nothing to do with Dr. Spock, but cannot convince her. Enjoyed your post today. Oh wow - Yep, they all blame him. Most of them haven't even read his common sense parenting. He was my favorite baby doctor. I never read Dr. Spock. I don't remember my pediatrician ever mentioning him either. I was aware of him, just not interested in reading what he had to say. Mainstream Doctors didn't approve of him because of his politics. These same doctors however, promoted healthy smoking. Go figure. Sounds better than the "What to Expect if You're Expecting" series. I've read that series. I used to be a Nanny. My mom wasn't a fan of Dr. Spock so I don't really know much about him. I like that he encouraged you to think for yourself and believe in yourself. I'll have to check him out. Most never even read his child care book. It was his politics. He was ahead of the times. I just read your Dr. Spock post. Wonderful! You quoted my favorite -- and the first -- line of his Baby and Childcare Book. Since I had no experience at all with babies, it was the reassurance I needed with my first child. And then again with my second. I had no idea he was so tall. I, too, admired his activism against the Vietnam war and for civil rights. Thank you for your post. Happy A to Z. You are welcome. and YES, he gave us all the assurance we needed. I still tell young moms to this day, "you know more than you think you do." My mother was not a fan of Dr. Spock, but she wasn't a fan of doctors generally. She was a nurse. And it sounds like she was taking his advice even if she didn't specifically take his advice (if that makes any sense). Exactly. Most who opposed him did not read his book. It was his politics they really didn't like. I'm proud of you to stand up to doctors. I did not have children so I had no real knowledge of Spock. I read Dr. Spock! He gave fairly good advice! I read his book so much - I wore it out. I just loved him. Mother was experienced before Spock came along. I had children so far afterward that I didn't utilize him either. I am glad for whatever reasons you were able to stand up and handle the situation with your child's condition! Too many times doctors get focused on the one thing instead of the whole person.